The Operations Research Center (ORC) at MIT is the recognized leader in operations research and analytics worldwide. As such, we seek applicants who aspire to make significant contributions to our global society in such areas as health care, finance, education, and transportation. Students accepted into our highly competitive programs are challenged to think creatively and work collaboratively—and to use data effectively to solve problems efficiently. 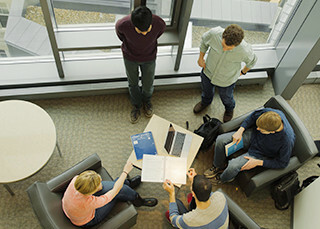 Applications for the PhD and SM in Operations Research degrees are found on MIT’s Graduate Admissions website. Information and instructions on applying to the Master of Business Analytics program can be found on the MBAn website. We ask that you submit electronically three letters of recommendation with your application. You will be able to request a letter directly through the online application system. You are required to take the GRE General Test. Please submit your GRE scores using MIT’s Institution Code 3514. The ORC does not accept the Graduate Management Admission Test (GMAT). The application deadline is December 15, and we only offer admission for the fall term. The application fee is $75. The Office of the Dean for Graduate Education (ODGE) is pleased to offer application fee waivers for US citizens and US permanent residents who qualify. For detailed information on the qualifications for the fee waiver, please visit the ODGE Application Fee Waiver page. For more information about our application process, please review our FAQs. To learn more about the ORC’s course offerings and programs of study, please see the MIT course catalog. To view MIT’s Official Nondiscrimination Policy, please visit here.